Looking for a way to get one-on-one help with navigating the Financial Aid maze? Confused by complicated documents and tax information needed to get money to help pay for college? There is a great event happening Thursday, January 16th from 6-9 p.m. at Grays Harbor College that is designed to help. This free event will have trained facilitators to help students and families complete their Free Application for Federal Student Aid (FAFSA) paperwork, learn about Financial Aid, get Scholarship ideas and ask important questions one-on-one. The evening will begin in the Grays Harbor College HUB where students and families will be directed to the many available resources. Feel free to come in anytime between 6 and 9 p.m. and people will be there to assist you. Filling out these documents and applying for student aid can be very helpful to most families. 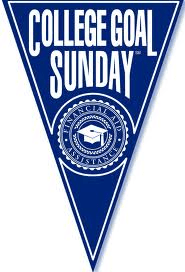 Most higher education students receive financial aid! 63 percent of college and university students receive an average of $7,400 a year to help pay for college. With tuition costs on the rise this funding becomes more important than ever before. To pre-register for this event or for more information, visit www.collegegoalsundaywa.org. The site has a complete list of the materials you will need to bring with you in order to complete the FAFSA to the best of your ability. There is also a Facebook page which will have up-to-date information on the event and directions. Look for “TRiO Grays Harbor College” to like the event and stay informed.